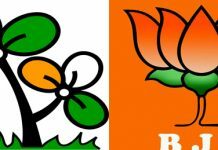 Bolpur: The district court in Birbhum has sentenced two Trinamool workers to a life term in jail for the murder of rebel Trinamool leader Sagar Ghosh at Parui during the Panchayat elections in 2013. Ironically, the judgment comes ahead of another Panchayat poll in the state which has claimed several lives right in the nomination phase. The vote is slated for 14 May. Convicts Subrata Roy and Bhagirath Ghosh were awarded life term today along with Rs 1-lakh fine. They were found guilty of murder and possession of illegal firearms. 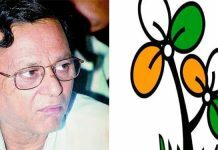 Sagar Ghosh was a prominent Trinamool leader at Parui village and belonged to a lobby opposed to Trinamool district president Anubrata Mondal. On being denied a Trinamool ticket to contest the Panchayat polls in 2013, his son Hriday Ghosh had filed nomination as an Independent candidate. On 21 July 2013, a gang of armed men allegedly from Mondal’s camp, attacked the Ghosh household. They lobbed crude bombs and fired bullets. Sagar Ghosh died of bullet injury following the attack. This made his son Hriday Ghosh lodge an FIR against several Trinamool leaders accusing them of the murder. With police allegedly going slow in the investigation, Hriday Ghosh then moved the Calcutta High Court, which in 2014 ordered the formation of a special investigation team to probe the case. But not happy with this, Hriday moved the Supreme Court demanding a CBI inquiry. By then he had joined the BJP. Curiously though, ahead of the 2016 Bengal Assembly polls, Hriday again switched over to Trinamool and withdrew his petition from the Supreme Court. 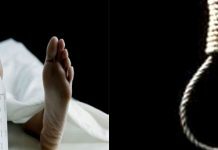 Bibhum police, meanwhile, filed a charge-sheet in the district court at Suri naming eight accused in the murder of Sagar Ghosh. Judge Partha Sarathi Sen yesterday pronounced two of them guilty while acquitting the other six accused ~ Sheikh Azgar, Jaladhar Das, Sheikh Mustafa, Jagannath Das, Priya Mukherjee, and Sheikh Yunus for want of evidence.